Since I moved to London, almost three years ago now, I’ve been to the Tate a number of times. Whenever a friend of mine comes for a visit, it is one of the first stops they want to make, regardless of how often I have or haven’t seen it. So much so, that I thought I knew the free display of contemporary art pretty much by heart. Until last month, when I rediscovered a part of it. Hidden in plain sight, between a room full of Rothkos and a wall occupied by a giant colourful Matisse, is a display which immediately catches the eye yet didn’t mark me the first (or second) time around. A brightly coloured pop-art wall screams AIDS in neon letters at me, as it has the past 10 times I walked through this room. But this is the first time I fully process its meaning. The display is more than a pop-art composition of red letters to shock and get the viewer’s attention. The entire room is dedicated to the phenomenon we now know as HIV, which affected over 35 million people who have died to AIDS related illnesses, and millions more who live with it today. As the AIDS pandemic spread in the 80s, with little known about the disease, the public was fearful, angry and rebellious. These emotions paved the way for a new generation of artists. Amongst them rises Robert Mapplethorpe, the creative genius who fell victim to AIDS in 1989, dying at age 43. Leaving behind all his usual tricks and role playing, his portrait, depicted on the same brightly-coloured wall, shows the artist as he was a few months before his death. Pale and sober, yet dignified, staring straight into the camera. Like many other artists, Mapplethorpe contributed to the dissemination of information to the public, rebutting prejudices and preventing the spreading of the disease we now know as HIV. 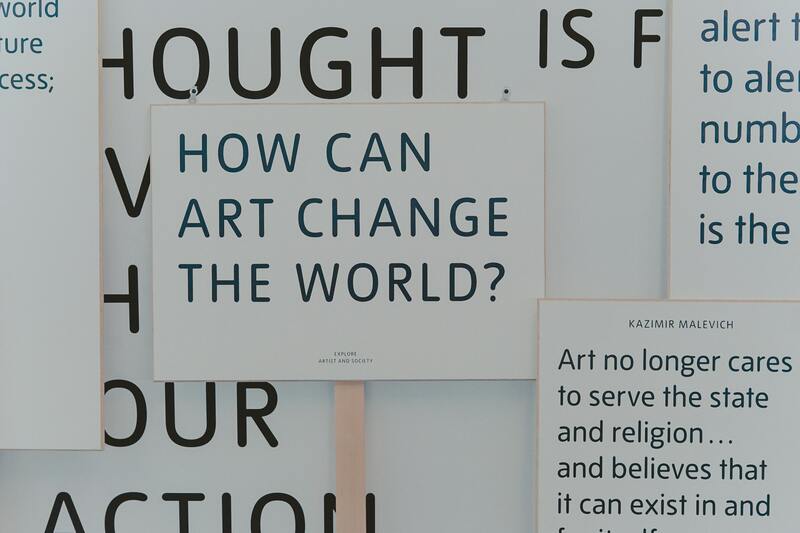 The use of art as a coping mechanism as well as to call for action in the face of a crisis is, of course, nothing new. 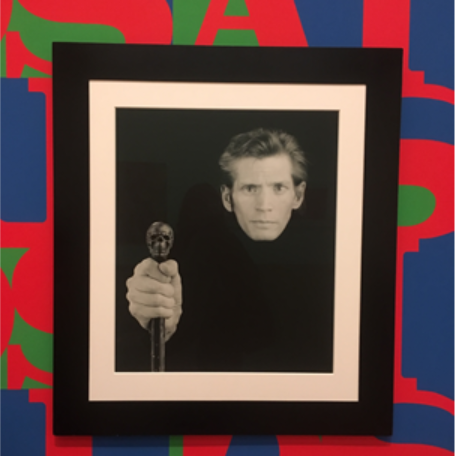 Mapplethorpe’s honest portrait and this room of the Tate show only a tiny sample of the mark that AIDS left on the art world and the other way around. Many artists, whether affected personally by the disease or not, have used HIV/AIDS as a main theme in their work. Although today, an HIV diagnosis no longer equals a death sentence as it did in the 80s and 90s, the psychological trauma of infection is still very tangible. As the epidemic has changed throughout time, so have the artists and naturally, so has the art. The focus today has moved away from HIV/AIDS itself, towards broader issues of community, sexuality and exclusion. Us nineties kids might not actively remember when the first wave of disaster and consequentially, AIDS activism, hit the West. We weren’t there when family friends and countless celebrities passed away for reasons we didn’t understand. These red letters may help me, and the rest of my generation, not to forget it.